Sugoi Days: Nagoya Women's Marathon 2018: A New PB! 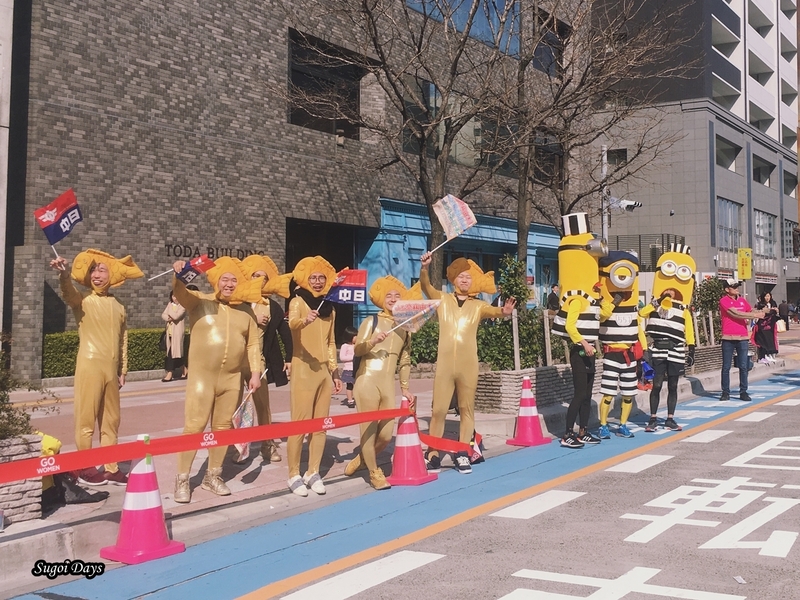 I’ll admit, after last year’s horrid performance at Tokyo Marathon, I was a bit disheartened to attempt another marathon. 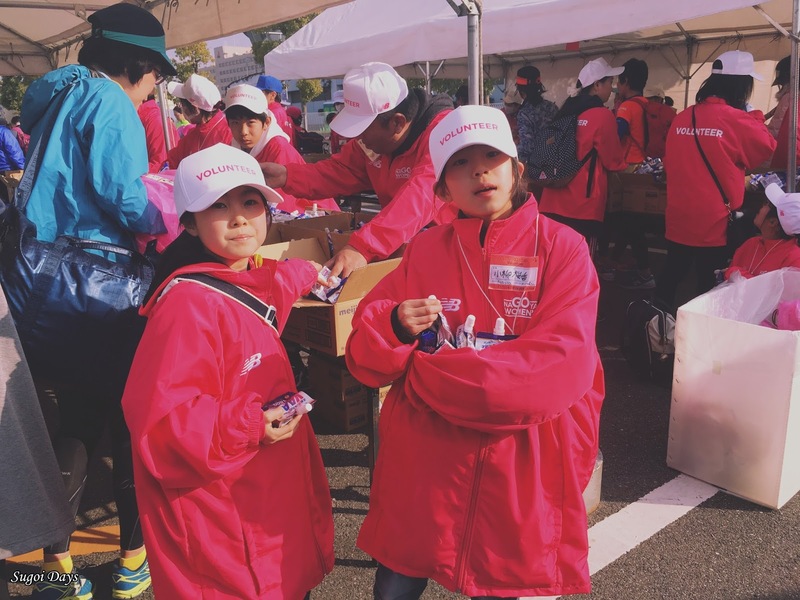 But when the ballot for the Nagoya Women’s Marathon 2018 opened up, I couldn’t resist throwing my hat into the ringer. 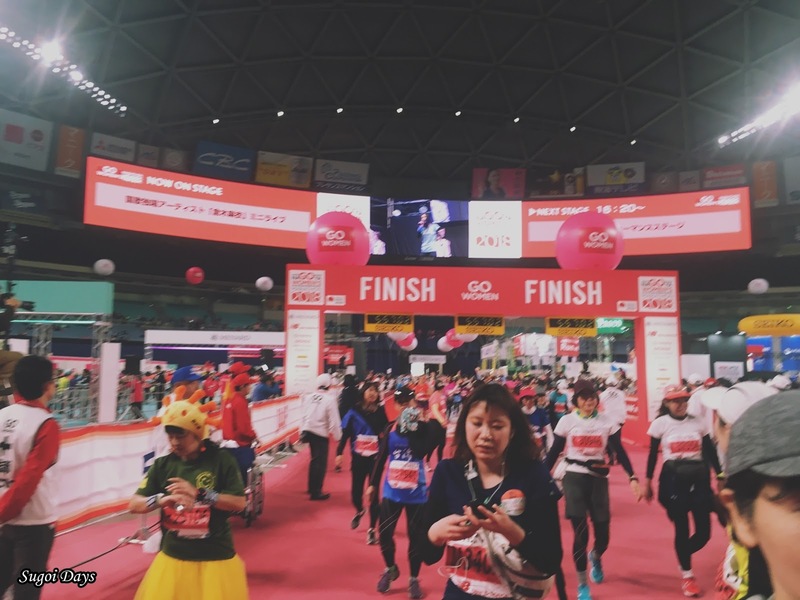 Lo and behold, by some twisted luck, I got in and on 11 March 2018, found myself waiting outside Nagoya Dome along with 21,900 other women for the flag off at 9:10am. 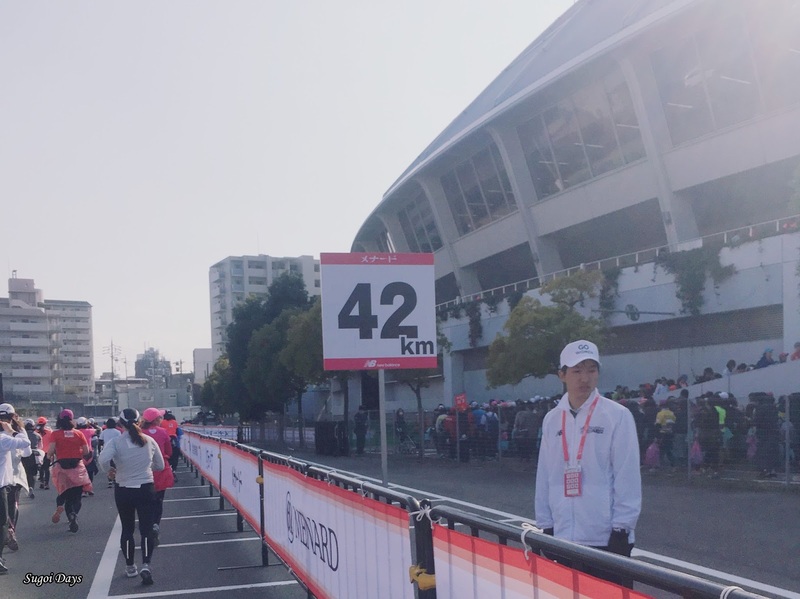 The 2018 edition of the Nagoya Women's Marathon was quite an important affair for the local elite runners as it was the last race of the season for them to book a spot in the marathon Grand Championship, Japan’s qualifying race for 2020 Olympics. Apart from that, the date was also the anniversary of the 2011 Tohoku earthquake and through this event, it felt as though the whole of Japan was rallying to remember that tragic day. None of these facts really sank into me until after the race though. Worried about the crowd at the subway station, the Malaysian group and I departed Sakae at 6:45am which wasn't as crowded as we expected. Once at the dome, we were directed to the bag drop area. 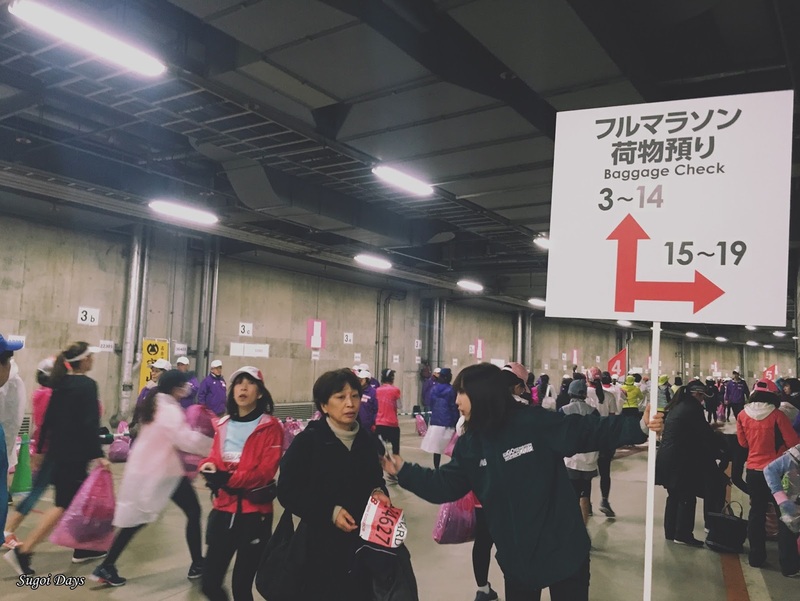 The bag drop was seamless with a flow guiding us to the holding area and start line. I was in Block K along with a fellow Malaysian and a Singaporean lady we met at the subway station. 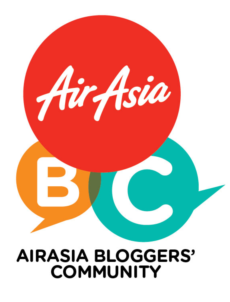 Because we had gone to the holding area an hour too early, we ended up wandering around the area, snapping photos with other Malaysians met through Facebook and visiting the many portable toilets placed around the area. That was the one thing I liked about the race. 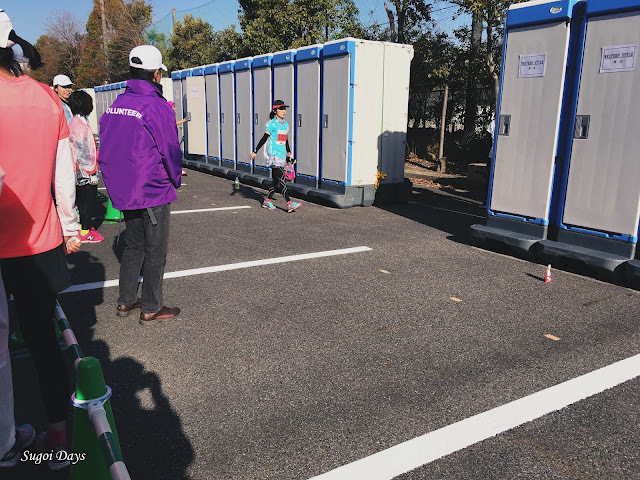 They had ample toilets and sinks around the holding area, all nicely spaced out for runners to use and they were clean too. Runners could move freely around the holding area as well and were not restricted to remaining in their blocks until gun time. At 9am, officials were instructing runners to return to their respective blocks for the flag off. Having learnt from last year, I remained steadfast to visit the toilet one last time before the flag off and made it in time to rejoin my block just before the gun went off. Not that there was any urgency to start running because it was another 21 minutes before I crossed the start line. 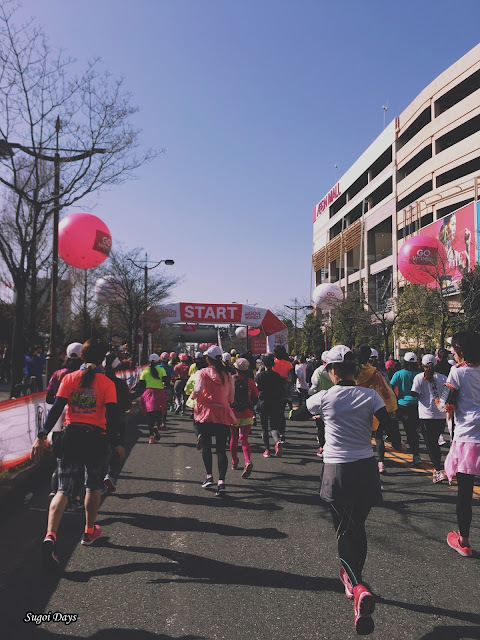 And just like that I was off on my third marathon journey amongst a sea of bright pink, blue and green hues. I had flashbacks of my Tokyo Marathon 2017 where I went out too fast in the first 10km and the memory helped me reign in my excitement. Then I entered that mental sweet spot of running where my body went into auto-pilot and was able to comfortably hold a consistent 7:30 pace. 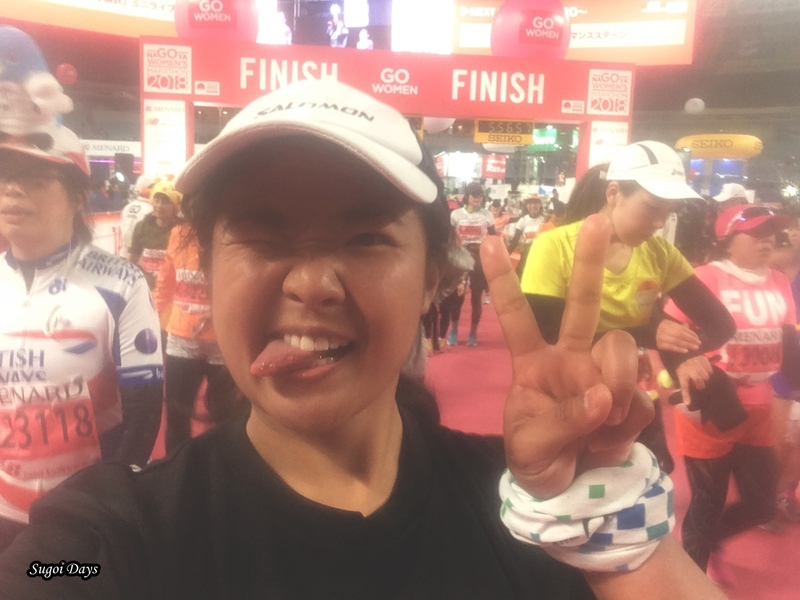 The energy of the runners, supporters and volunteers were just infectious and I was high-fiving supporters and flashing smiles at cameras. While the in-and-out route around the city left much to be desired scenery-wise, the crowd and runners made up for it with performances, colourful outfits and mascots running alongside me. I was decked out in my usual marathon gear - compression pants, drifit shirt, a buff, my bib pinned to my windbreaker and my waist pouch with two bottles of electrolytes and salt tablets. Normally I would wear a long sleeved compression top as well but I had climatised to the cold in Japan and had decided to ditch the top earlier. Then while waiting for the flag off, I made another decision to repin my bib to my shirt instead of my windbreaker to allow me the option of removing the jacket in case it got too warm later. It turned out to be the right call as the temperature went up to 14 degree celsius an hour into the race. My body had warmed up nicely at that point and I tied my jacket around my waist and simply enjoyed the perfect weather and atmosphere. I consumed my gels, drink and tablets every 7km and took sips of water and sports drinks from the drink stations along the way. 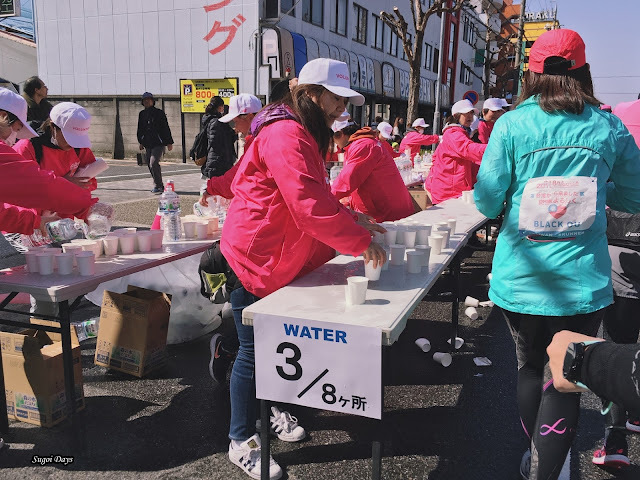 This plan did well to keep me hydrated throughout. 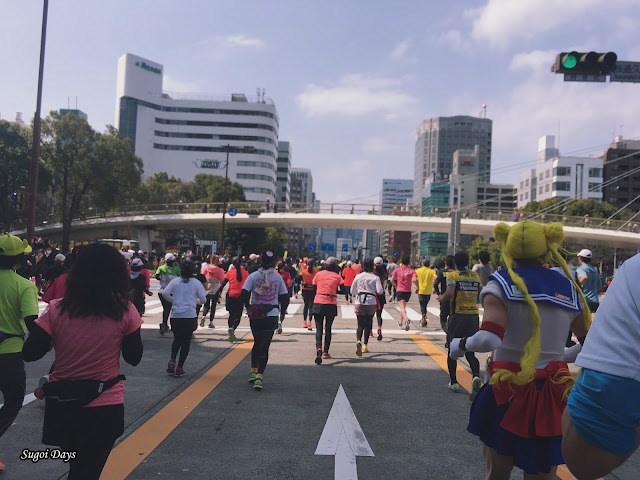 Alongside the Nagoya Women's Marathon, the city also held the City Half Marathon and at the 12km mark, the lead runner and pack blitzed past us on the right lane. 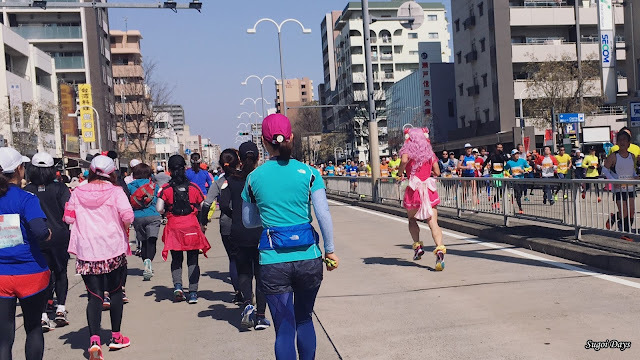 I snapped a few photos of them, especially this guy cosplaying in a pink dress and wig before I went back to enjoying my run. Impressive, he was in the top 5 for the men's Half Marathon. 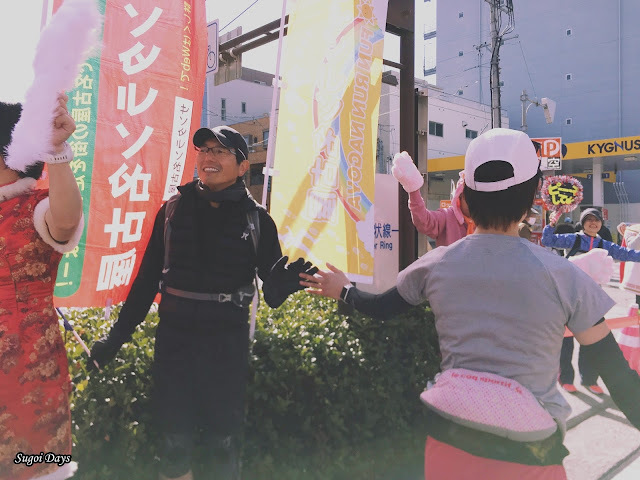 At 23km, I started getting hungry and grabbed a banana from the food station. It was already cut and peeled by the volunteers, making it easy to munch on. The clouds swept in at that point and the temperature dropped slightly. I saw many tugging on their jackets at that point but I decided against it. I embraced the chill to give my body a refreshing push for the upcoming battle in the second half of the race. 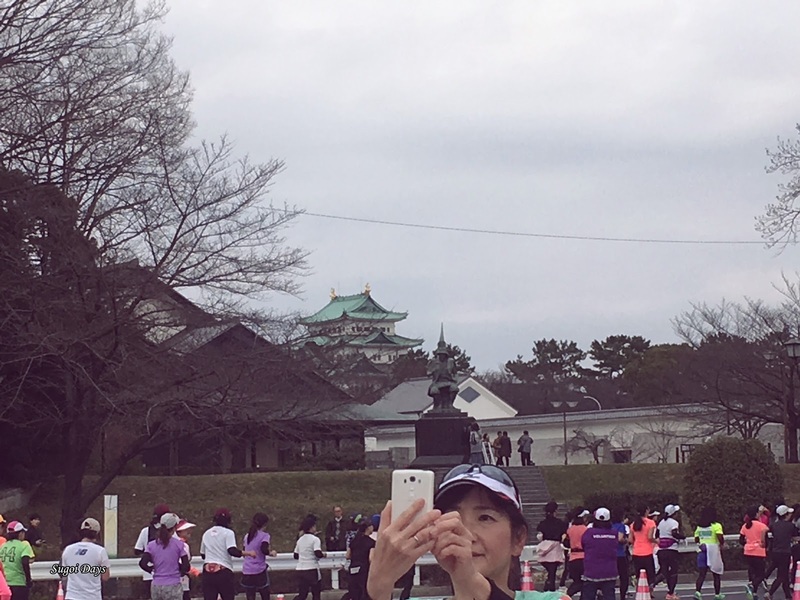 At 27km, I glimpsed Nagoya castle in the distance and stopped to snap a quick picture. At that point, I was still feeling good. Later on, I felt my right thigh muscle tighten up. I stopped shortly to stretch it out but that didn't help. I ended up running the rest of the way while ignoring the pain. 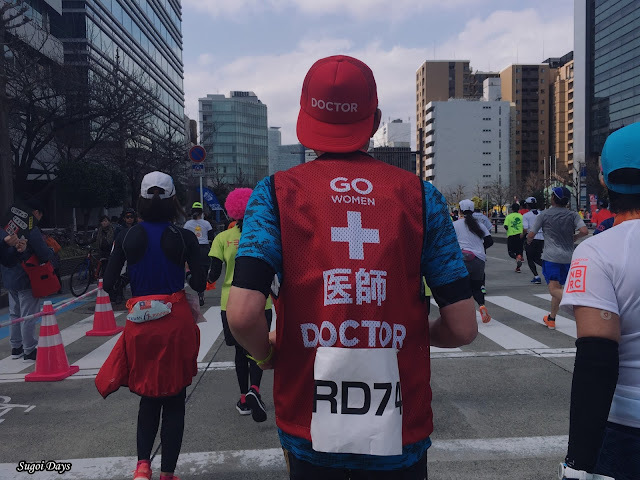 I could have stopped one of the volunteer doctors running with us the whole way but decided the pain wasn't so serious to warren medical attention. 30km in and thigh pain aside, my body still felt good with ample fuel left. I was definitely in a better physical and mental state than my previous marathon or during my LSD training for this marathon. Then at 35km, the ligaments around my left knee decided to rebel and started displaying initial signs of a cramp. I ended up walking most of that uphill stretch to avoid it turning into a full-blown crippling cramp or injury and took the opportunity to soak in the atmosphere. The crowd was lively, cheering us on from the sides. 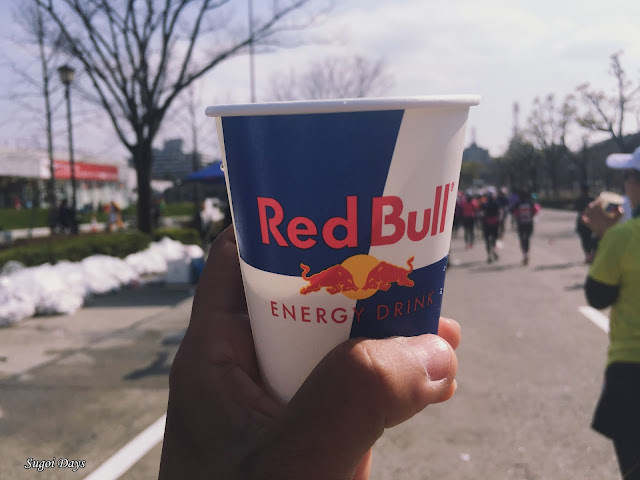 I stopped to apply muscle spray, grab a cup of Japanese cucumbers which were delicious and also, Red Bull. 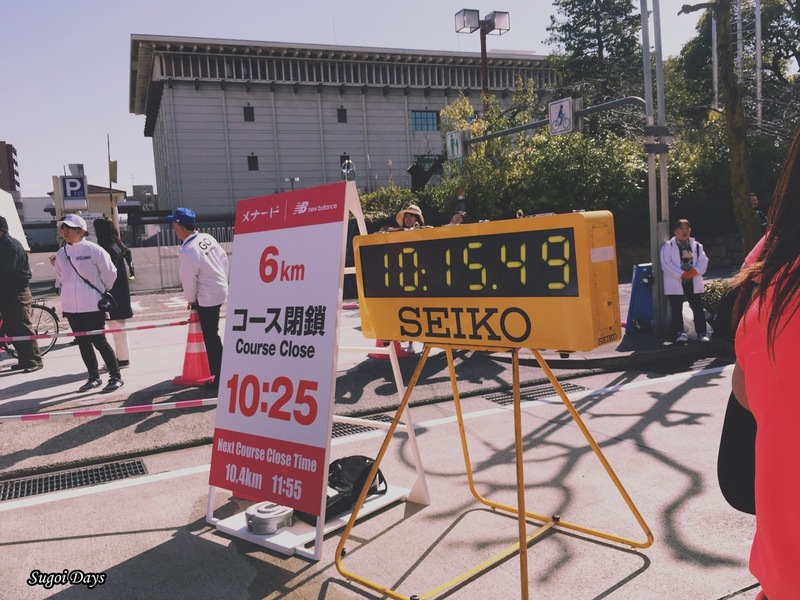 Checking my time, I did some mental calculations and decided that if I kept moving, I could make it back with a sub-6. At one point, I was bargaining with my legs to hold out for the last 5km. At first my legs refused to listen and the constant threat of a knee cramp slowed my pace to a walk and jog. Along the way, I spotted someone holding out cups of coke and I swooped in to grab one, thanking him as I downed the drink. It tasted like the heaven on my tongue and gave me the boost I needed to continue running for the remaining 4km. Bless you, Coke man! The crowd's cheering grew as I got closer to Nagoya Dome and that gave me the energy to start overtaking a few other ladies. 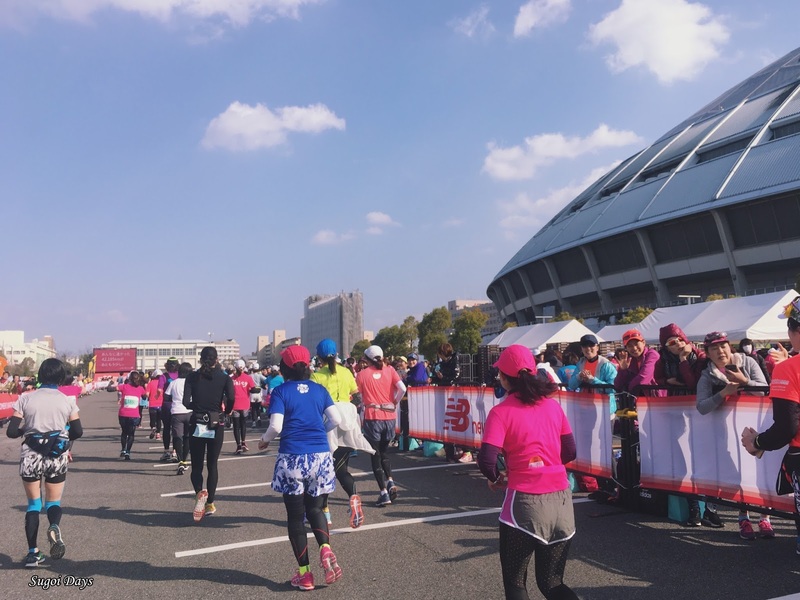 Many at that point had resorted to the walk and jog method as I had done earlier and with each person I overtook, I felt my legs speed up and I was going faster. Although I am pretty sure that was all in my head. 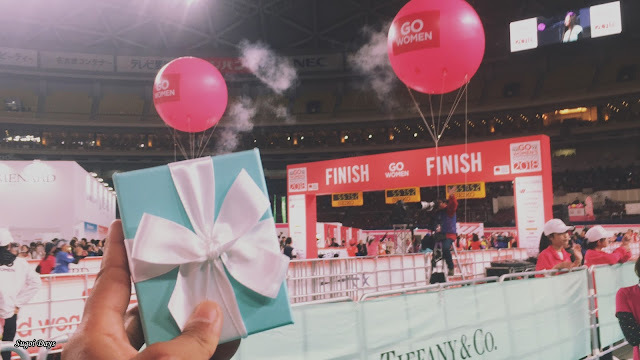 The last 100 meters of the marathon led into the stadium and it was a real epic dash to the grand finish line where a cute Japanese guy awaited with my Tiffany pendant in hand. And that was that. 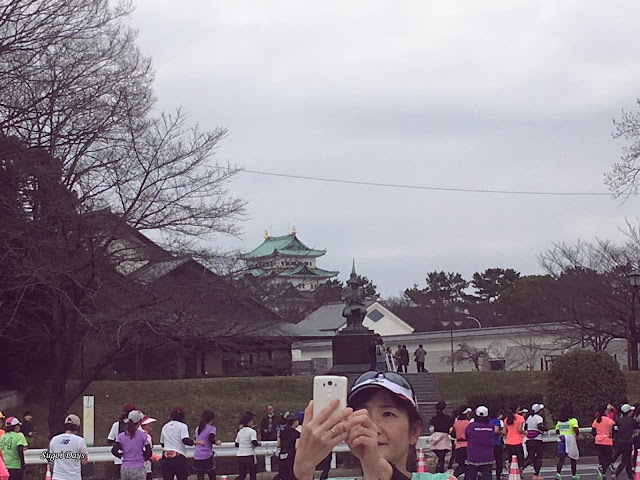 My third marathon in Japan. 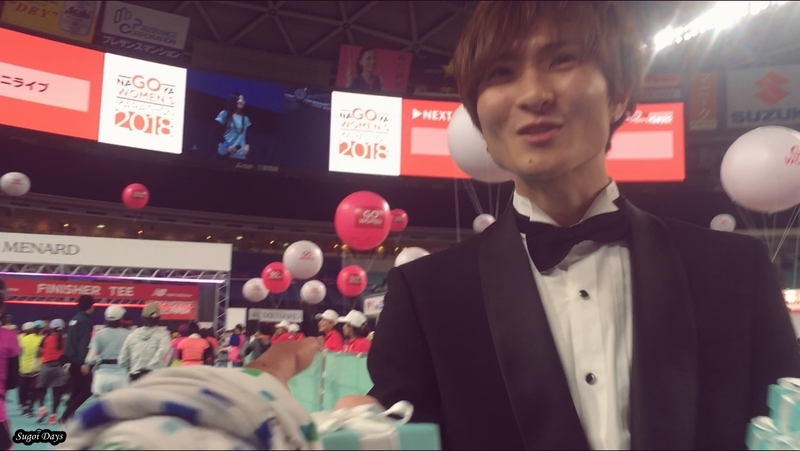 I collected my finisher shirt, drink and food and quickly staggered my way to baggage collection and to the expo for some last minute shopping. How I still had energy at that point was beyond me. I met up with some of the Malaysian runners later for dinner at the well-known, Atsuta Horaiken known for their Hitsumabashi Unagi to celebrate our achievement of completing the world's largest women's only marathon. But the best news was yet to come. I only found out later via my bootcamp chat group that I had achieved a new personal best at 5:34, shaving off 3 minutes. I was amazed for I had gone into this race with little expectations and the bare minimum training required for a marathon. I was worried that I hadn't gotten enough mileage in due to my WWOOF-ing work but it seemed otherwise. My weight loss and active lifestyle thanks to WWOOF-ing in the past two months in Japan had unknowingly paid off. 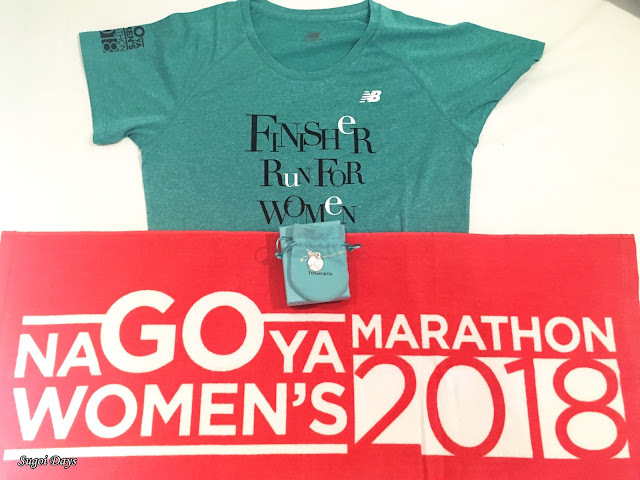 When I got back to my hotel, I quickly unwrapped my finisher prizes including a towel, a New Balance Finisher Shirt and of course, the elusive Tiffany pendant with its spray mum (chrysanthemum) motif. 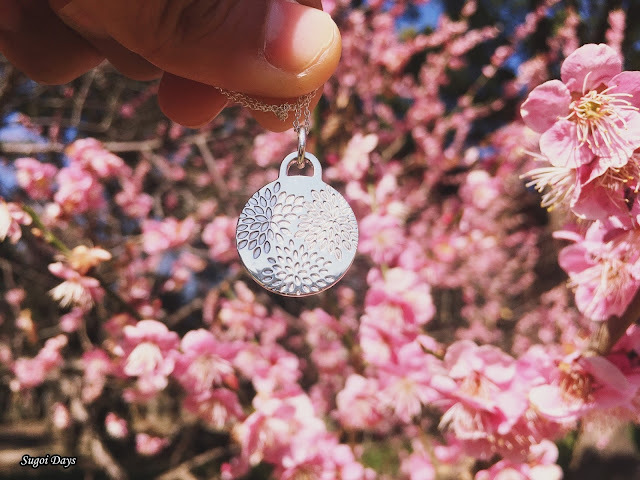 Did you know that the chrysanthemum is the crest of the Emperor and the Imperial Family? I feel so honoured now. Needless to say, I was proud of myself. 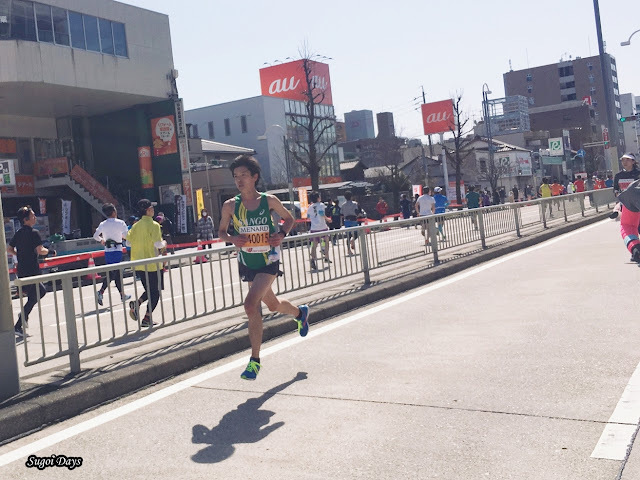 I had redeemed myself from my poor performance at Tokyo Marathon where I more or less limped to the finish line with a sub-6:30 and this rejuvenated my desire to attempt another marathon in Japan. But not anytime soon. I have earned myself a week's worth of Malaysian cuisine and intend to enjoy every last bite and slurp of it. 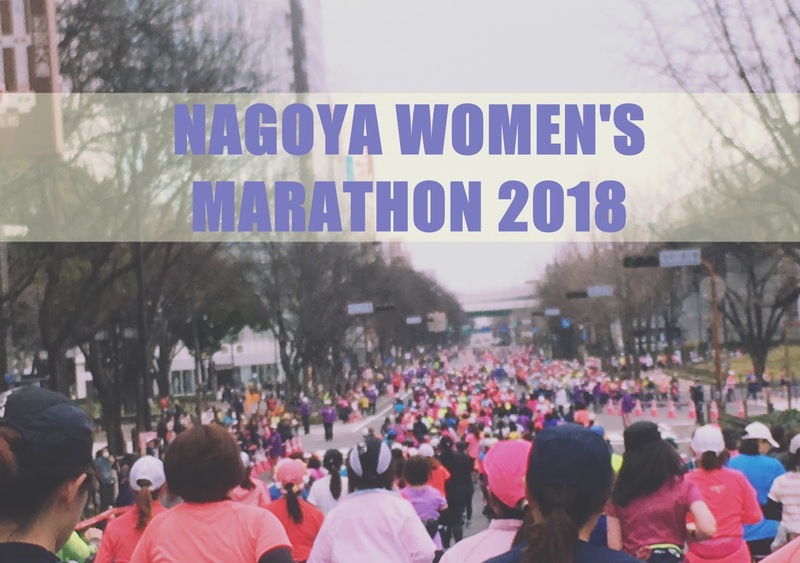 The general timeline to join the Nagoya Women's Marathon 2019 is start looking for the lottery entry in mid-September and wait for the result to be released early October. Book your accommodation as early as possible as there're limited reasonable and strategic accommodations in Nagoya. Until then, happy travels and safe running.